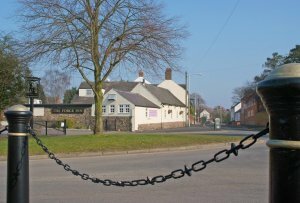 Blaby District Council, working with the Parish Council, is looking to designate the historic centre of Glenfield as a Conservation Area, and they would like to know your views. There will be an opportunity for local residents and businesses to discuss the proposed Conservation Area at a drop in session on Tuesday 25 March between 11.30am and 7.00pm at the Parish Council Offices at Park House on Stamford Street. The Council has identified a possible boundary for the proposed Conservation Area. This covers much of the centre of the village, from Kirby Road with its medieval moated site to the north and Parish Church to the south, to its later 20th century buildings, such as the former Co-operative Bakery on Stamford Street and the Wesleyan Chapel on Station Street. The Council has also prepared an appraisal of the Area, to highlight its historic development and the important buildings and spaces within the village centre, to explain how future development can be managed within the Area through the planning process. 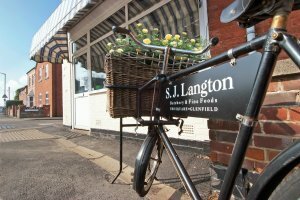 If you live or work in Glenfield the Council would like to hear your views, to help refine and shape these proposals for the Conservation Area, and to be successful the Conservation Area needs support from the local community. The proposed boundary map and the appraisal for the Area will be published for comment from Monday 10 March until Monday 31 March, 2014, with copies available either on the Council's web site (www.blaby.gov.uk), or paper copies will be available to view at the Parish Offices and Glenfield Library during normal opening hours. Comments can be made directly to Catherine Hartley, Development Strategy Manager at Blaby District Council, either by e-mail (Catherine.Hartley@blaby.gov.uk) or by post at the Council Offices, Desford Road, Narborough, LE19 2EP.